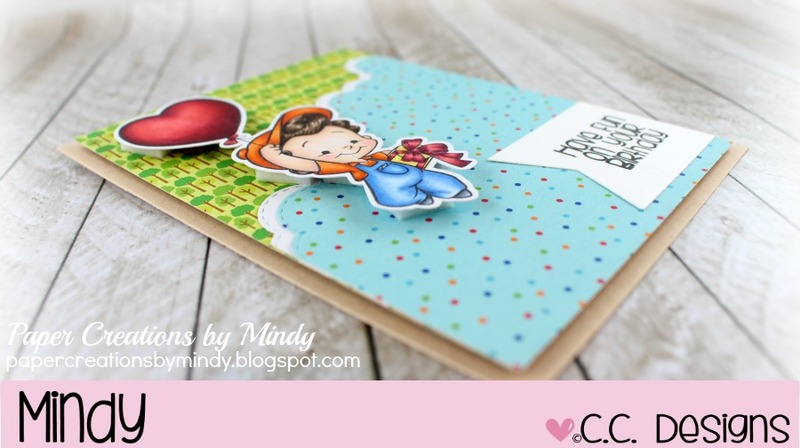 I’ve seen fellow DT member Christine create this layout on her cards a few times and wanted to give it a try. It’s really fun to make! For this card I used Balloon Boy from the April release from C.C. Designs. This release is so super cute!